Once your blog post has been approved by the Marketer in the system, you will need to copy the provided HTML into the source code of your blog. This HTML is an exact copy of your post that includes all mandatory tracking links and disclosure. If you do not copy and paste the code exactly as provided your post will fail validation and you will not be paid for your work. This article will walk you through publishing your approved Blog post. 1. When your post has been approved it will appear on your Actions Required tab under Ready to Post. 2. Click on Post to be taken to your content. 3. From this page, you will be able to retrieve the approved HTML of your post. You will need to copy this HTML exactly and paste it into your Blog. 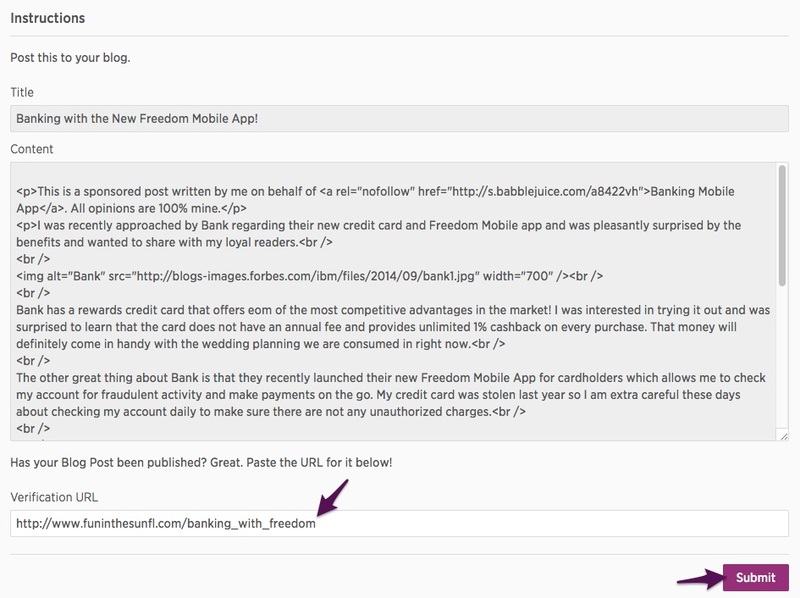 This HTML has been embedded with no-follow tracking links so Marketers can track the clicks and views of your post. If you do not copy and paste exactly what is shown here, your content will not be approved in the system. 4. Once your post is live you can enter the post's URL in the Verification URL box and click Submit.